Echo chamber. Echo chamber. Echo chamber. So, do I think what I actually think, or am I just being told what to think and then thinking it? One of the many casualties of the whole ‘Brexit, Trump, the whole world turning into Nazis’ thing, is belief in independent thought. At least amongst left leaning liberals like myself. Echo chamber. Echo chamber. Echo chamber. I hear it so often it’s like it’s been screamed into itself. Do I really only consume media which validates my pre-existing beliefs? Maybe I do? Do you? If so you’re probably going to buy this jacket. If you don’t already own it. 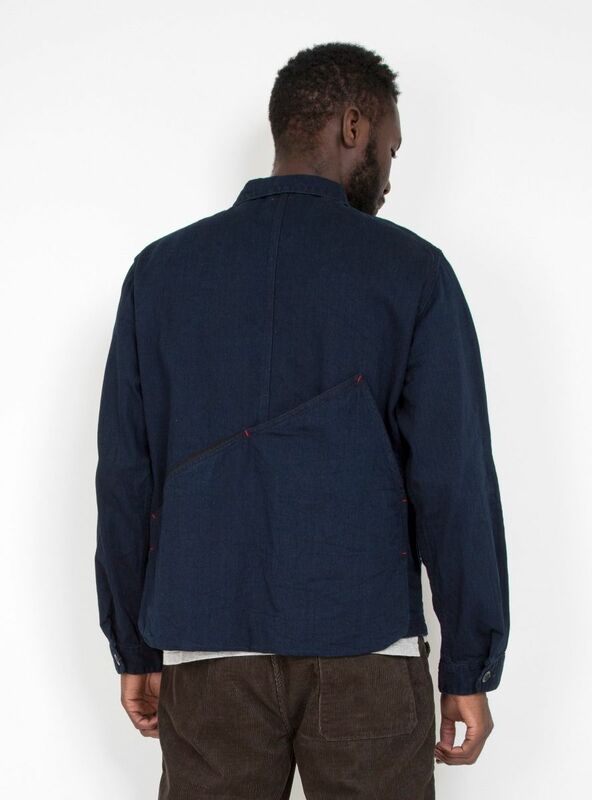 They’ve only got one of these Kapital jackets left over on Garbstore. It’s a size medium, which seems perfectly adequate for their 6ft 2″ model, so unless you’re Geryon the three-bodied Grecian giant, or a bit taller than 6ft 2″, you should be okay. It’s got red stitching, a light weight cotton construct and a couple of giant front pockets, it’s a weird shape though right? The sharply curved hem gives the piece an oddly truncated look. 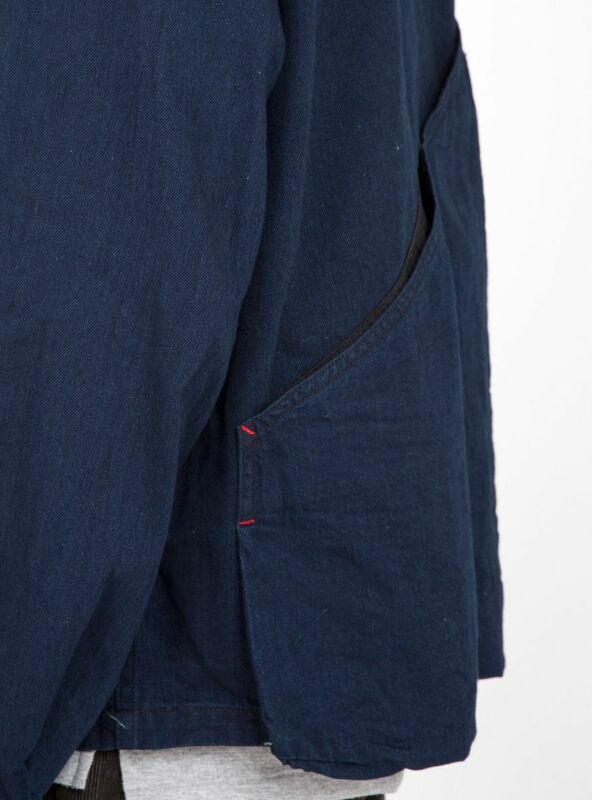 A peculiarity that it’s formal(ish) indigo-dyed finish just manages to defuse. There’s a bonkers wonky pocket on the back too. Apparently it turns into a, “twin box pleat vent.” I can’t envisage that. And since retailer Garbstore have no pictures of it in this transformed form, neither can you. Maybe it’s your bag, maybe not, but as I said earlier, it probably is because you’re reading this, and only this, here, now, forever. JFK was the only politician I could picture wearing that. But then I remembered GWBush. I reckon he would too. In yard / wood sort of way. If I’m right this jacket has the potential to break the echo chamber. And carry loads of stuff at the same time. Not bad for a chore jacket with extra pockets.